Nivea Soft moisturising cream can be used on both the face and the body to keep skin feeling soft and supple. The caring formulation is enriched with micro-fine oil droplets enveloped in a water layer that are quickly absorbed by the skin to offer instant hydration to even the most thirsty skin. Also featuring vitamin E to combat free-radicals, this cream also provides ant-ageing benefits, working to leave the skin smooth, hydrated and glowing with health. 75mL Tube Retailer Stockists: Woolworths, Coles, IGA, Chemist Warehouse, Priceline, Discount Department Stores & Selected Pharmacies. 50mL Jar Retailer Stockists: Woolworths, IGA, Chemist Warehouse, Discount Department Stores & Selected Pharmacies. 200mL Jar Retailer Stockists: Woolworths, Coles, IGA, Chemist Warehouse, Priceline, Discount Department Stores & Selected Pharmacies. I have just finished a 75mL tube of the Nivea Soft Moisturising Cream. The 75mL packet comes in a soft white plastic tube which sits on a harder plastic flip top lid. The tube has the Nivea logo at the top and has text in Nivea blue (colour). The cream is white in colour and has the traditional Nivea scent. The cream is lighter in texture and feel compared to the traditional Nivea cream. This cream can be used as face, body and hand moisturiser and I have been using this as both a night time face and general hand moisturiser. The cream feels light on the skin and absorbs quickly and is non-greasy. The cream does not make many claims apart from being an effective moisturiser and has Vitamin E for assistance to combat free radicals and it does as it says. I only use this product at night as it does not have SPF but that was part of the reason why I bought it, I needed a new night cream. If you have drier skin in the winter, you may need to swap for something heavier for those months. This is a great multipurpose cream and for the price it does a fantastic job and I will be purchasing another tube. If you use this as a face cream remember that it does not contain SPF so you will also need to apply a sunscreen afterwards. Apply under makeup if you want to have a smooth surface and moisturised skin. You can also mix with foundation to lighten the shade and or coverage to have a more fresh look! Great for all uses - after shaving or waxing, during makeup, on dry patches like elbows or knees, as a hand cream. General cream that is great to keep around. I have been using this moisturizer for a little over a year and have found it to be a great all round cream. It is a good weight and keeps the skin on my face hydrated without causing breakouts of oiliness. I only use this on my body when travelling but the ability to use on my face and body is a bonus. I do find in winter that this moisturizer is sometimes not enough and I end up with some dry patches that I need a heavier moisturizer for - but I do live in a rather cold part of the state. I find this moisturizer great to wear under makeup and soaks in quickly. This moisturiser did a decent job in moisturising my skin. I would rather use this during summer months as I have extra dry skin during winter and this is not enough. I used this on face primarily as I really like simple and straight forward cream without any unnecessary extras. It absorbs really fast and does not leave any oily feeling. Just soft, perfectly moisturised skin. It also works wonder under my make up and makes my make up looks fresh and smooth. Make sure to have cleansing routine with cleansing brush as this cream can somehow clog your pores. I have no problem with clogged pores as I always use cleansing brush when I wash my face. More suitable for normal skin, not so much for dry skin. I bought this after reading a newspaper review that compared different moisturisers, and this turned up as number 1 for being the cheapest yet most effective moisturiser. For the price and its effectiveness, I was sold and started using it for the past 6 months on my face. No doubt, this definitely moisturises my face well, but I started noticing that my pores were getting bigger and I was getting more blocked pores than ever. After stopping this on my face, I've noticed that this problem went away. Hence, my advice would be to not use this on your face but use it on other parts of your body instead. It definitely works great as a body lotion but not as a facial moisturiser. 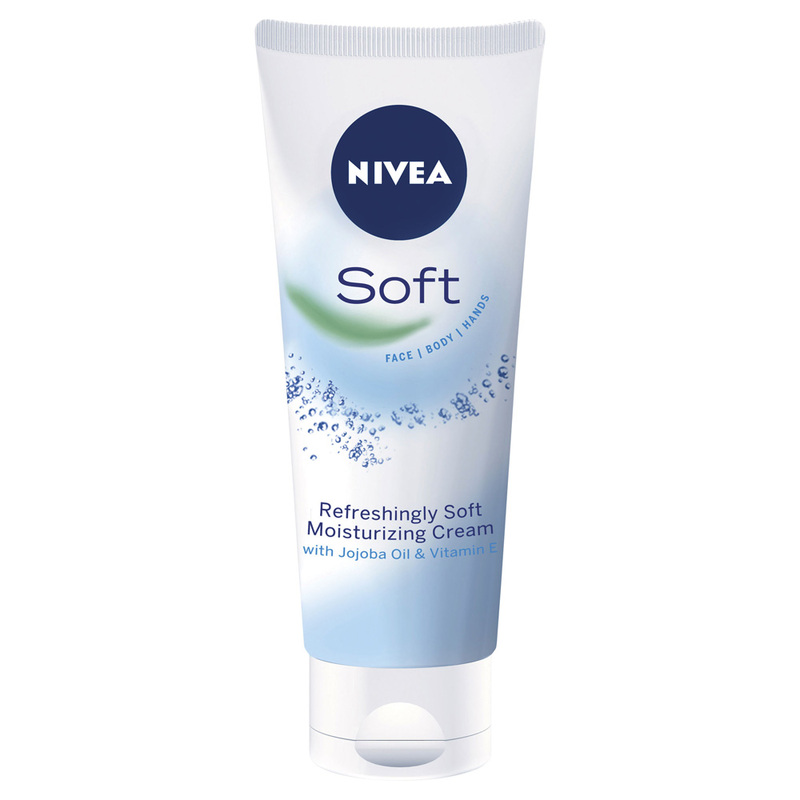 I first used Nivea Soft when I was a teenager, I loved it then because it was lightweight, smoothed on easily, could be used on the body as well as the face and cheap too! I stumbled across it again years later in one of the tiny pots marketed for travel and was so pleased! I always keep a little pot in my handbag for my hands or elbows. Recently though, the budget was a bit tight so I decided to buy the tube to use as my regular facial moisturiser.. I'm so glad I did! Even in my thirties this provided enough moisture, and smooths on as easily as it did 20 years ago. The scent is pleasant, tbh I barely notice it, and it's never greasy. I wouldn't use this all the time as a regular facial moisturiser.. let's face it, I could do with the anti ageing goodness of other creams now, however I'm happy to use this one a few times a week, particularly overnight (no SPF) and will continue to keep my emergency pot as an all round reliable moisturiser for hands and body. Keep a 50ml travel pot in your handbag for hands, legs and elbows. Young people starting out with a skincare routine. This isn't the worlds best moisturiser but it definitely does what it says on the box. It's the perfect product to keep in your handbag for those emergency moisture moments. It comes in an easy to use tube with a nice tight sealing lid that I've never had pop open at unwanted moments or leak in my bag! It works well as a facial moisturiser, it's not too heavy and not too light. The product leaves skin feeling smooth and hydrated without any greasy residue. At the same time this is still powerful enough for to be used as a wonderful hand cream or body moisturiser. It definitely has a scent but it's not a particularly offensive or interesting scent either way and once applied it dissipates quite quickly. I always keep a tube of this in my handbag and in my luggage when I travel. It handles temperate changes well, it is nice and cheap to purchase and preforms well in a variety of different roles. A winner in my book. Nivea soft does exactly what it says on the bottle. I like that it comes in an easy to use tube that it quite small and great to travel with. I have used this product in the past as a daily face moisturiser. The scent was lovely and it made my skin feel fantastically soft. The face was probably left a little dewy for my liking but overall was a really nice product to use. This product is very good for sensitive skin, as I find that some to most moisturises I have used can burn my because I have sensitive skin . This moisturiser is great for using on my face as well because I have dry skin it really helps with putting the moisture back in. I have also used it to remove makeup as I read that it can be used to do so and it works great. Only negative is I wish it smelled better. This cream is very hydrating and is very thick. I use it as a night cream as it takes a while to soak into the skin and it can make your skin look quite oily, but the next morning it looks super smooth and soft. I would recommend using a face scrub, and /or cleanser before using this. It is very good value for the price, as a small amount can spread quite far. It does have quite an artificial scent, but it doesn't bother me. If you have super sensitive skin you may only want to use this as a body moisturizer. Use a small amount at a time, it spreads out. A good moisturiser for anyone looking to save money but keep their skin healthy. I have combination skin and this cream works wonders for providing hydration. The scent is fresh and warm, without being overpowering. The packaging is handy as I keep this cream in my bag and use it throughout the day as a hand cream and a facial moisturizer. This cream is light and absorbs quickly into the skin without leaving greasy after marks which lets me use this as a hand cream on the go! Overall, a great all-in-one cream to keep in your bag! This is a good moisturiser to use overnight. It is light, smells nice and adsorbs quickly. A small amount goes a long way, so using a small amount before sleeping works well. It can make your face seem oily and slippery when you wake up, however. This works well mixing into foundation, but I don't recommend applying this underneath foundation, as the foundation will seem streaky and won't stick. Overall, this is good to freshen skin at the end of the day. I've had this product for at least a year now and I love it. Its great at moisturising and the smell is really nice. Its smooth and light weight on the skin which is great. It glides on smoothly however I feel like it leaves my skin a little greasy but nonetheless I still love this product. It still hydrates my skin and thats what I want out of a moisturiser. Compared to other expensive moisturisers this one is very affordable and can be found in many stores. The packaging is also to a high standard. This has been my go-to moisturiser for about 8 years. It's fantastic. I used to always hear people say even if you have oily skin, you still need to moisturise. It's so true! I use this product at night after I've washed my makeup off and it is super nourishing. It's quite a thick formula but a pea sized amount goes over my whole face and down my neck easily. I've tried expensive moisturisers over the years just to see if there is something better out there but I just keep coming back to this one. The price is fantastic and the scent is next to nothing. You can also get it in small tubs which are handy for on the go or travel. It's found in most supermarkets or chemists and is definitely something I recommend. I have been using this daily for at least three years now and I can honestly say that I could not live without this! I use it as a face moisturiser after I get out of the shower (I have normal skin type) and it leaves my skin feeling soft and supple without being overly heavy and greasy on my face. I even go a bit extra sometimes and will put some excess cream on my lips! It's tasteless so it works fine for me. Occasionally if my hands are feeling a little dry I'll use a bit of this to give them a bit of life. All in all a great staple beauty product. It does have a slight fragrance but nothing too overpowering. I don't even notice it most of the time. I prefer the tub of cream over the squeeze tube- I find I use less product using the tub, when I used the squeeze tube my face would sometimes be too greasy. Make sure you moisturise you neck and décolleté everyday aswell! That's where you show signs of ageing the most, as people forget to care for that area like they do their face. Try using less product if you find it's too heavy for a face moisturiser. This is the best moisturizer I have tried so far! It's a facial moisturizer, eye cream, body cream and what not! I bought this when my daughter was in hospital and needed something quick for my face. It did the trick but as I've discovered moving forward, it's a bit too rich for the face. I have very dry skin so I do use it occasionally and by occasionally, I mean every couple of weeks but if I use it too much, I would get blocked pores. Great for everywhere else. It is a handy go to when I just need some moisture but I would leave it for the body and look elsewhere for face products. Oh!  I really I wanted to like this product because of all the great reviews on here. I bought this after seeing it on beauty heaven top 100. I didn't want to buy a tub/jar product but the tubes -looked so small, so I grabbed the 200ml jar thinking oh it'll be better value and because I can use it on my face, hands and legs a bigger jar would be better. Things got off to rough start as I was trying to find the tab on the security seal and sliced my thumb on it. I don't normally buy jar packaged products due to hygiene concerns but the Nivea soft tubes just look so tiny! I didn't care for the smell and it feels heavy on my skin. I have oily skin so perhaps that's why but even wearing it on my arms now it feels heavy -definitely a winter cream. I wore this as a night cream for three nights and didn't like my face in the morning- no improvements and just a greasy, heavy, feeling and I think it may have broken me out a small bit. It does moisturize though. I've used it on my neck, chest and arms and it worked as a normal moisturizer. It's on my legs now and my legs do feel hydrated. If the smell is fixed and better hygienic packaging then maybe I would buy again. I don't understand the hype around this product maybe my skin just isn't dry enough. Bigger packaging and a pump dispenser would be great. Great price though for a versatile product. This formula contains denatured alcohol. The jar packaging won’t keep the plant-based ingredient in here stable once opened. Apply straight after a shower. I bought this because it came in a small tube and I love Nivea. Beinganew mum I have to wash my hands frequently and my skin pays the price. I keep one in my handbag at all times! It nice and small and fits perfectly that being said this little tube goes a long way. Totally affordable too. It's a nice lightweight cream but packs a nice moisturizing punch! Smells really nice too. I absolutely love this moisturiser. I use it on my body but I mostly use it on my face. I find it really hydrating but cooling at the same time, so I really love using it in the hot weather, especially because it doesn't feel super sticky, thick and heavy like some other moisturisers I've tried. You can get this really cheap from pretty much anywhere, I like to get mine from chemist warehouse because I find they usually have it cheaper than everywhere else.